Mellen-Thomas Benedict passed away on March 31, 2017 (see below for details). Adora Deva, Who Is Charged With Handling The Estate Of Mellen-Thomas Benedict, Needs Your Help. Here’s how you may help: Adora has set up a GoFundMe page to help pay bills and to help with the Memorial to Mellen-Thomas Benedict. In case you have forgotten, Mellen’s near-death experience is one of the most unusual of record; his incredible psychic abilities afterward were proven in medical tests; his understanding of light and how to heal with light led him to become an inventor of note. Unfortunately, his knowledge of business and financing turned out to be severely lacking, which left him unable to protect himself and his inventions from “legal” theft. Please help! Mellen-Thomas Benedict was born March 2, 1949, in Fayetteville North Carolina, and passed away March 31, 2017. He left behind his brother Michael Benedict, Uncle Jerry Benedict and former partner of 10 years and dedicated friend Adora Deva, who is processing Mellen’s estate. He also leaves his friends and colleagues Celestine Star, Carolyn Byers, Bob Bell, Kim Kasdorf, J.R. Collier, Richard and Linda Van Donk, Darlene “Shay” Kohnke, Tom Batley, P. M. H. Atwater, L.H.D., and a loving community. Mellen was a true renaissance man, an artist, musician and inventor. Family and friends knew him as a master stained glass artist. He even invented stained glass cutting scissors that would not fatigue his hands when working. These stained glass cutting scissors are used world-wide as the industry standard. In following his musical talents, Mellen spent time in his early years playing and writing songs for his band in Atlanta. He enjoyed music and playing his guitar until his passing. 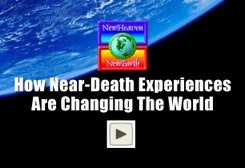 Mellen was known world-wide as a luminary being, a scientist, visionary, speaker, spiritual leader, inventor, workshop leader and author of countless articles on the Near Death Experience (NDE). He offered his genius, sacred wisdom and authentic love to his family, friends and to the world. He enjoyed being on countless radio shows as well as producing several audio series, including White Buffalo Wisdom and Insights from the Other Side. 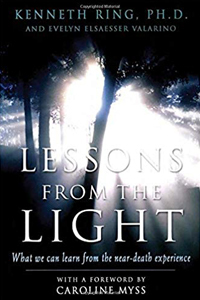 Although he never produced a book, his story was published in many other people’s books on the NDE topic. Being an inventor he always looked at the world with an eye for how he could make it better, asking, “What does the world need?” Some of Mellen’s light technology inventions include: The Starship, the Inlight Pro, and the Dream Spa. He created other inventions, some very successful others not, such as the Ultra Spa, which he was not yet able to offer to the public at the time he transitioned. In his role as a film maker, Mellen-Thomas made several commercials and spent time working on the television series, Unsolved Mysteries. He also traveled several times to the Philippines, where he researched psychic surgery, working with powerful shamans to discover the hidden secrets of shamanism. It was during this time that he realized that the Chi energy used by Shamans could also be similarly harnessed with the energy of light. He was always capturing his experiences in photos and film, making many short movies of many of his travels and experiences. 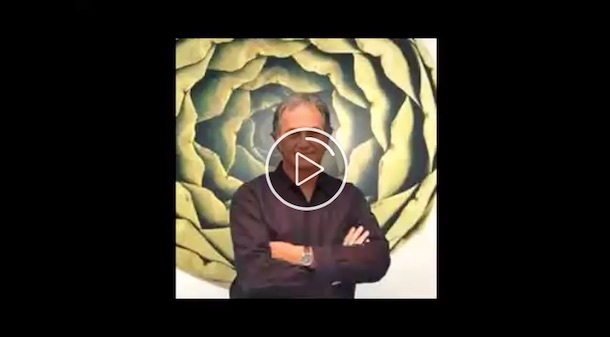 In 2012, he produced a film called The Spirit of Gaia, in which he details his views on the history of our Earth and its people, showing where we came from and where we are going. In 1982, Mellen-Thomas Benedict was diagnosed with terminal brain cancer. Shortly thereafter he experienced death and miraculously lived to tell about it. 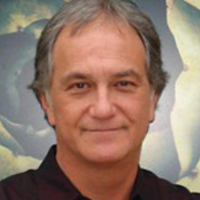 He experienced one of the most transcendental NDE ever documented. 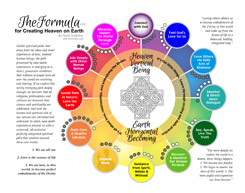 While on the other side, Benedict journeyed through various afterlife realms and was given access to Universal Intelligence by which he was allowed to absorb a tremendous amount of spiritual and scientific knowledge, including the nature of reincarnation. Benedict’s enthusiastic curiosity during his NDE took him far into the remote depths of existence, and beyond, into the energetic void of nothingness behind the Big Bang. He was shown in holographic detail the evolution of Mother Earth (“Gaia”) and experienced the cosmology of our soul’s connection with Gaia. He was given knowledge about humanity’s role in the Universe including a beautiful vision of our future for the next 400 years. Benedict’s ensuing lectures were based primarily on his informative journey in the spiritual realms. Mellen went on to spend much of his later life lecturing on the scientific and spiritual nature of life. 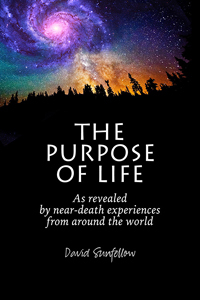 He spoke about the evolution of consciousness, reincarnation and the reality of a Universal Intelligence, which some call God, and became internationally known for this inspirational out of body journey. 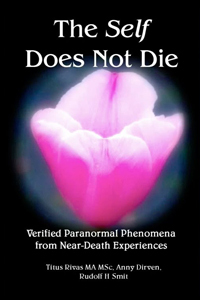 He worked closely with P. M. H. Atwater, L.H.D, researcher, author and speaker on Near-Death Experience. 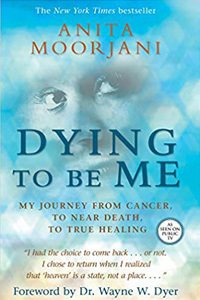 Following his 1982 NDE, she helped him bring his story to the world, introducing him to the International Association for Near Death Studies (IANDS). The two remained close colleagues and friends until his passing. Mellen deeply enjoyed sharing his amazing stories and would always captivate a crowd with his enthusiasm and sense of humor. He believed in leaving a legacy by making a difference in the world. In addition to his many patents, inventions, and lectures he also contributed acts of service. During the last few months of his life he volunteered for a local food bank which he found very rewarding. Mellen will be remembered as a creative humanitarian and a magnetic and magical man. He will be missed by close friends and by the greater world community. 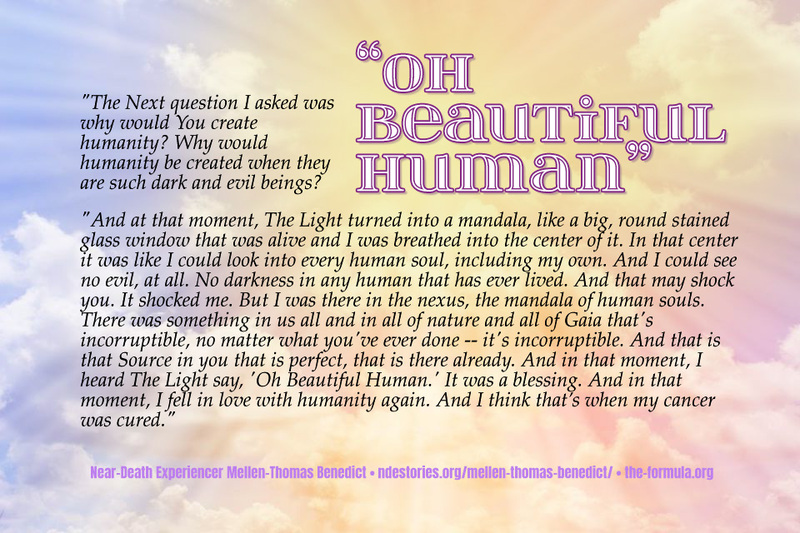 “The Next question I asked was why would You create humanity? Why would humanity be created when they are such dark and evil beings? For information about this seminar, go here. 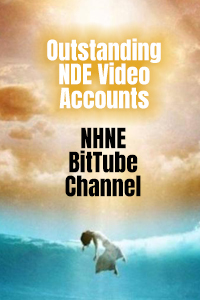 “First of all, I would like to just thank you for immensely rich work in the field of NDE research and what your books and other writings (on your blog) have meant to me. I live and work as a psychologist near Montreal, Quebec; and in January 2011, I ‘discovered’ NDEs and NDE research through a spiritual quest. This has definitely changed my life and perspective. 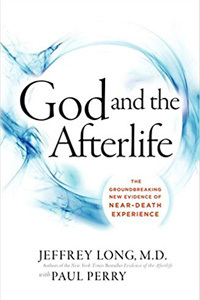 “Since then, I’ve devoured dozens and dozens of NDE testimony and research books, joined IANDS, and have been also catching up on a lot of other spiritual “paranormal” topics (ADCs, deathbed visions, children’s past life memories). 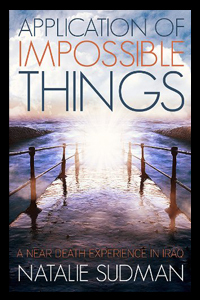 I’ve read four of your books (Coming Back to Life, Beyond the Light, The New Children and Near-Death Experiences, We Live Forever), which have all been very meaningful and informative to me; and have three others queued up on my reading list. I also attended a talk you gave in Montreal this July at the IIIHS/ SSF conference (which is in my backyard but did not know it even existed!). I was too shy to come and greet and say thank you. Ian, as a professional, you MUST read The Big Book of Near-Death Experiences. There is a specific chapter in the book for medical people. 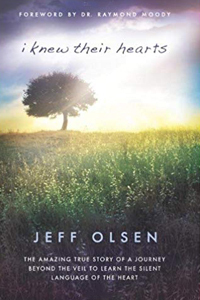 Also read Near-Death Experiences: The Rest of The Story, as it is a summary of three decades of my work, plus another decade spent back in Idaho, before the near-death experiences that turned my life around. You could scroll through my website and gain even more information, check my blogs, and subscribe to my free monthly newsletter (you do this on my website at www.pmhatwater.com). I do everything I can to make reasonable and sound information easily available. Mellen-Thomas Benedict was part of my original research base. My husband and I personally journeyed to his home (then in Fayetteville, North Carolina), and spent a great deal of time with him, some with his mother and then girl friend. I’ve followed his work ever since – his creations and his mistakes, the lawsuits against him, and the difficulty he has had taking his inventions (most of them coming from his near-death experience), testing them, manufacturing them, and then selling them to the public or to medical institutions. I can say point-blank that his near-death episode is genuine. I have viewed the before and after X-rays of his brain. The tumor was clearly there before he died; it disappeared after he revived. His is certainly not the only such case – of instantaneous healing after a near-death experience. There have been many. Some far more dramatic than his. He was one of those who was given to understand, during his near-death state, how to invent certain items and design systems (both mechanical and cultural). In that sense, his case differs from the average, as his passion now addresses the human family and how to improve things and systems on our planet. Yes, there are personal elements to his experience, so personal he has great difficulty discussing them. That may change in the future, depending on his readiness and willingness to share more deeply. 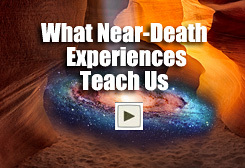 When you read about or consider near-death experiences, you must also realize that there are aftereffects. . . a pattern of physiological and psychological changes that for the vast majority, child or adult, become lifelong. This is what throws professionals like yourself when trying to deal with them or engage in any type of counseling or guidance. That means what we’re talking about here is the near-death phenomenon that consists of both an experience and a pattern of aftereffects. You cannot separate one from the other and be honest or know what you are talking about. It takes a minimum of seven to ten years to integrate one of these experiences. No short cuts. It really does take that long – longer for child experiencers (20 to 30 years), as they do not connect the “dots” between what happened to them growing up, how they differed, with their childhood episode. There are so few professionals as yourself who even know about this, much less are trained to handle it or even take appropriate action with such a client or patient. Having said this, I want to go back to Mellen-Thomas. I believe his ventures into the business world were innocent, sincere, and honest. Those who came forward to develop and market his products may have been less so. He endured clash after clash. Hence, the rumor-mill has run wild about his dealings. The controversy is over now. His chosen path hence forward is presenting multimedia shows and skype workshops that focus on today’s facts (like over-population) and what he learned about this on “the Other Side.” Since he was a gifted multimedia professional before he died, I suspect anything he does along that line will be superb. Whatever mistakes he made in the past have been more than corrected and repaired. People are quick to forget how advanced his healing lights are, and what a gifted and unbelievable inventor he still is. I hope someday he returns to systems work, as well. We need his genius.